The HavanaReviews.com team stayed at Hotel Telegrafo Havana earlier this year. 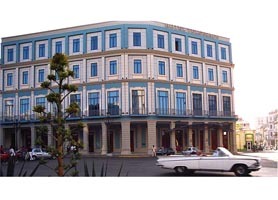 Hotel Telegrafo was restored in the mid 2000´s but is actually over a century old, yet it has the boldest and most contemporary architecture and interior design in Old Havana. The HavanaReviews.com team found that instead of trying to recapture a sense of the past like the Hotel Nacional de Cuba does, this place offers a unique mix of Art Deco furnishings, contemporary light fixtures. Lots of modern Cuban art and sculptures are exhibited throughout the hotel, some of which are temporary galleries as we found one morning when all the paintings had been changed overnight! The rooms have high ceilings giving a sense of roominess, and proportionately high intricately designed headboards. Our room had views over the Parque Central hotel and down the street. Some of the rooms have less desirable views onto an interior courtyard. We liked the hotel from the outside and also the entrance and lobby, especially the lobby bar which features the old archways of the original buildings structure from the early 1900´s. Sadly, the modern and minimalistic interior design winds up leaving the rooms feeling a bit cold and uninviting. 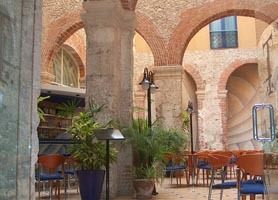 The Hotel Telegrafo Havana snack bar is located in a first-floor courtyard besides the aforementioned ancient brick-and-stone arches in ruin, which set off a massive and intricate mosaic wall, small pool, and contemporary track lighting. Its open 24 hours but is not a hive of activity during any of those hours… The hotel has a few computers with Internet connections, and WiFi which is not as fast as other we´ve used but it’s acceptable. 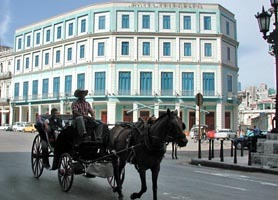 The Hotel Telegrafo Havana offer an almost identical location to its overpriced neighbors of the Hotel Saratoga and Hotel Parque Central but at about half the price. For this reason alone we found the hotel to be very reasonable based upon our interest of discovering Old Havana rather than being holed up in the hotel all the time. Around the hotel are abundant Paladares (private restaurants) which in many ways negate the need to take anything but breakfast at this hotel. We certainly weren’t short of places to eat, all of which were extremely cheap compared to a single meal at the Telegrafo. We highly recommend getting bed & breakfast at the Hotel Telegrafo. Overall we enjoyed our stay at the hotel; we spent most of our time outside of it and the rest sleeping and for this reason the Hotel Telegrafo is an ideal choice for those with a limited budget but who also want the chic Parque Central Location. 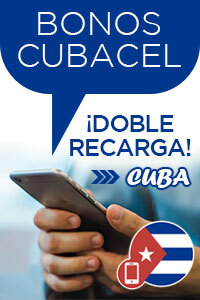 Hotel TELEGRAFO Havana is one of the few hotels that do not require prepayment or deposit to Book.